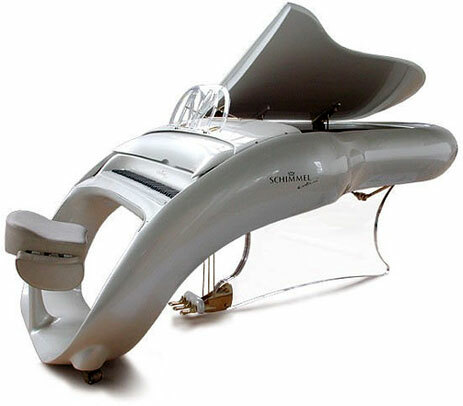 At a first glance the Schimmel Pegasus Piano doesn’t look like a piano. 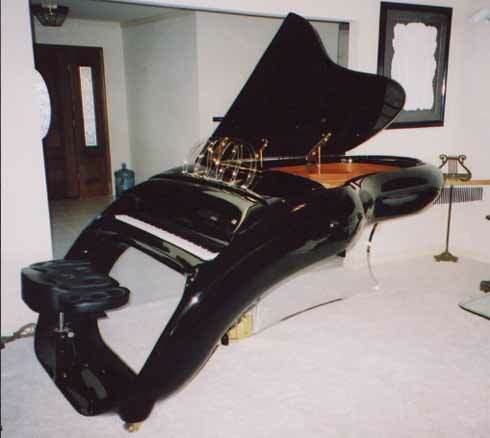 With those beautifully sculpted curves this piano looks more like a futuristic spaceship. 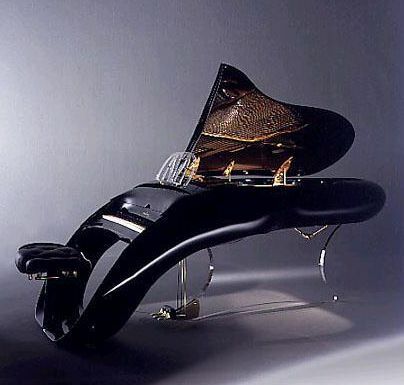 The Piano has over 200 strings with a key assembly of 10000 pieces with a fully adjustable hydraulic lid. Now you can have your own Schimmel Pegasus Piano because there’s one for sale until March 15th, only 14 were made ten years ago for people like Eddie Murphy, Lenny Kravitz, and Prince. The pianist’s touch determines the speed and energy of the hammer contacting and energizing the strings. The pianist’s touch determines the speed and energy of the hammer contacting and energizing the strings. Details in workmanship and material are paramount if the pianist is to enjoy playing the instrument and experience rich, expanded dynamic sonority. Schimmel keyboard/action systems are examples of exclusive workmanship, regulated to discriminating standards and ideally matched to the strung back assemblies. they are asking only $110,000, and their highest bit is currently at $100,000.